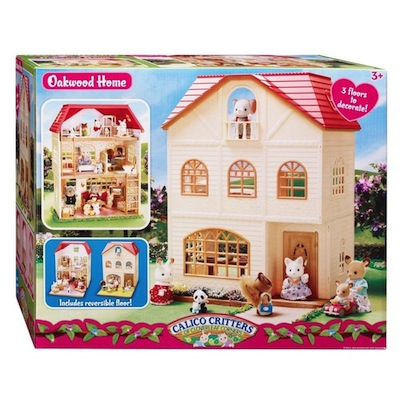 Oakwood Home features 3 spacious floors to fill with critters and accessories! The third floor is removeable-use to expand the first floor or flip over to the green grass side and use as a yard! Complete with a wonderful balcony and 2 moveable ladders for easy access to each floor. House measures 11 3/4" x 8 3/4" x 15 1/4".